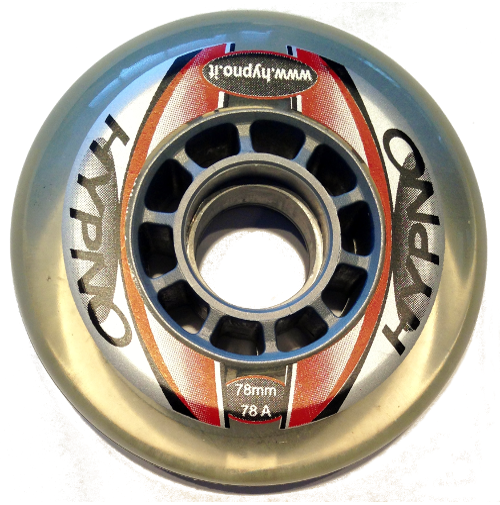 Original Hypno brand wheels in a hard-to-find size of 78 millimeters. Pliease note:: These will not fit the Hypno Skates composite chassis. They only fit on chassis capable of using wheels larger than 76 mm such as the Hypno aluminum chassis.